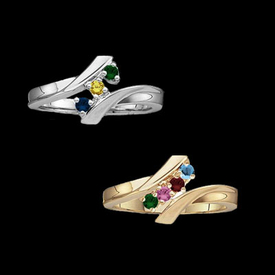 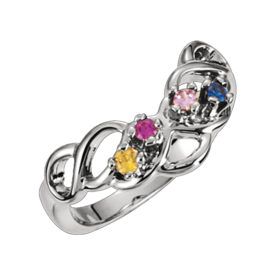 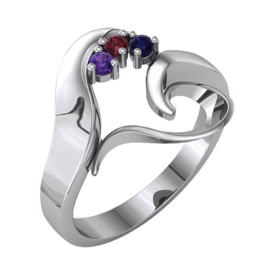 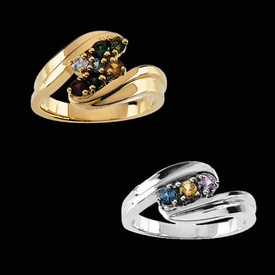 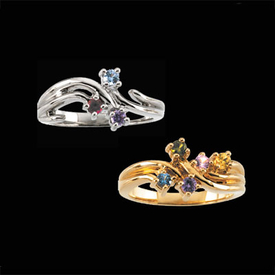 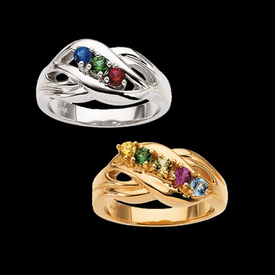 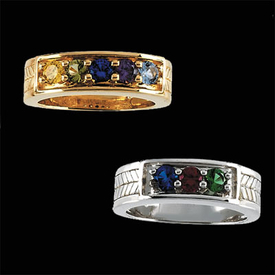 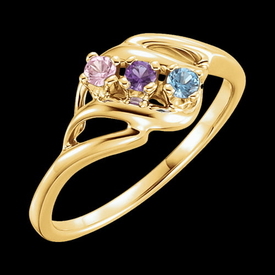 14k Yellow or White gold Mothers ring will hold up to 5 gemstones. 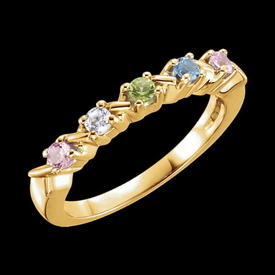 Each gem measures 2.5mm round and are available in genuine or simulated. 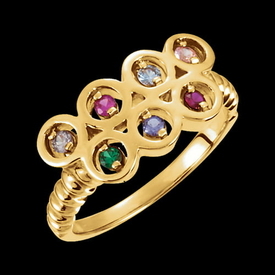 Lovely design.